Book your shuttle transfer now and save yourself time, money and the hassles involved in getting a shuttle transfer between the Fort Lauderdale Airport and your hotel. 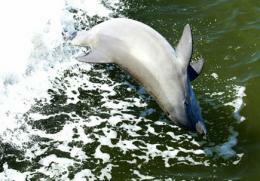 The Miami Seaquarium is a world-class marine-life entertainment park in Miami, FL. This South Florida attraction features eight marine animal shows with astonishing daily presentations. The Miami Seaquarium is one of Miami's best attractions. This sightseeing tour will bring you to Key West from Fort Lauderdale. On this tour. you can explore this historic and delightful town. Go sightseeing down the historic and scenic overseas highway through the Florida Keys. 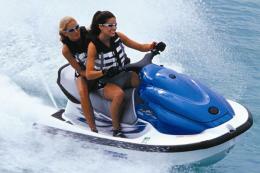 Learn history and interesting facts during your sightseeing tour to Key West. Once you arrive to Key West, you may tour and explore on your own free time. Sail and Swim Catamaran Cruise consists of sightseeing cruise through Fort Lauderdale and then fun and relaxing on the Atlantic Ocean. Cruise the Venice of America and Millionaire's Row , then set sail on the Atlantic Ocean on a comfortable and relaxing Catamaran Sailboat. Sit back and relax while you cruise to a swim stop in shallow water along the first reef where you can ride the water slide and play on the floating trampoline. The Mai Kai Restaurant and Polynesian Dinner Show brings Polynesia to you. Enjoy a world famous polynesian revue, and a delicious 3-course meal. The Mai Kai is decorated with hand carved tikis, tropical gardens, and ancient museum artifacts. The Mai Kai Polynesian Restaurant is one of the best attractions in Fort Lauderdale, Florida. The Dinner Show offers great food with great service, and an excellent show, and a once in a lifetime experience! Book your Mai Kai reservation online and save. 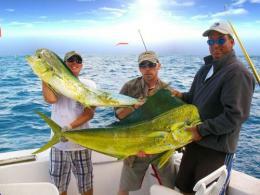 The Sunset Cruise is a relaxing and romantic sightseeing catamaran cruise through Fort Lauderdale. Feel immediate tranquility while you set sail on a relaxing Catamaran Sailboat. Relax while the sun sets over the Atlantic Coast. Enjoy a complimentary champagne toast. *Prices shown do not include Taxes and Fees. This Day Trip to Miami from Fort Lauderdale will bring you to the best sights in Miami and South Beach. 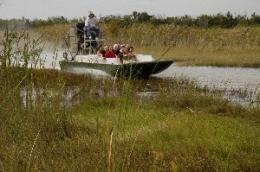 On this tour, the guide will provide interesting history and culture of Miami. You will also have plenty of free time to explore Miami on your own. You can choose from the three drop-off points; South Beach, Lincoln Road, and Bayside Marketplace. The tour guide will provide excellent recommendations for your visit in Miami. The Key West Tour from Ft Lauderdale will bring you to Key West where you can tour and explore this historic and delightful town. Go sightseeing down the historic and scenic overseas highway through the Florida Keys. Once you arrive to Key West, you may tour and explore on your own free time. Book your shuttle transfer now and save yourself time, money and the hassles involved in getting from the Fort Lauderdale Airport or the Fort Lauderdale Cruise Port to your hotel. Or from the Fort Lauderdale Airport to the Fort Lauderdale Cruise port. 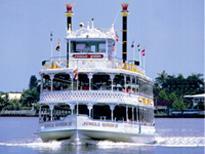 The Jungle Queen Dinner Cruise will tour through the beautiful waterways of Ft Lauderdale. Enjoy excellent sightseeing as you cruise past fine homes and mega yachts along Fort Lauderdale's Millionaire Row aboard the Jungle Queen Dinner Cruise. Enjoy an all-you-can-eat dinner, sightseeing cruise, and a hilarious variety revue. The Jungle Queen has been operating since 1945. *Prices shown do not include tax. The price with tax will be added in the shopping cart. This hotel shuttle will take you to your hotel from the Fort Lauderdale Airport. Book your shuttle transfer online to save yourself time and money. This Miami Tour from Fort Lauderdale will bring you to the best sights in Miami and South Beach. This tour has two parts. The first part is a 2-hour guided tour of Miami. The guide will provide interesting history and culture of Miami and you'll see sights including the Seminole Indian reservation, Dolphin's Stadium, Little Havana, Coconut Grove, Downtown, and South Beach. The second part of the tour consists of free time in Miami. You can choose from the three drop-off points; South Beach, Lincoln Road, and Bayside Marketplace. The tour guide will provide excellent recommendations for your visit in Miami. Stay as long as you would like. The departure times are either 2:30pm, 7:30pm, or 10:30pm. This Miami City Tour from Fort Lauderdale will bring you to the best sights in Miami and South Beach. This tour has two parts. The first part is a 2-hour guided tour of Miami. The guide will provide interesting history and culture of Miami and you'll see sights including the Seminole Indian reservation, Dolphin's Stadium, Little Havana, Coconut Grove, Downtown, and South Beach. The second part of the tour consists of free time in Miami. You can choose from the three drop-off points; South Beach, Lincoln Road, and Bayside Marketplace. The tour guide will provide excellent recommendations for your visit in Miami. Stay as long as you would like. The departure times are either 2:30pm, 7:30pm, or 10:30pm. *Hotel pick-up included at most hotels.